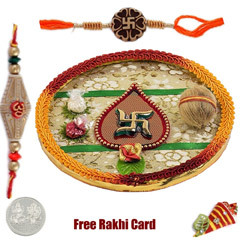 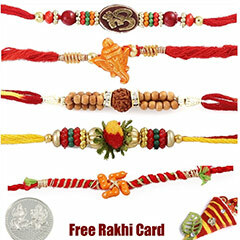 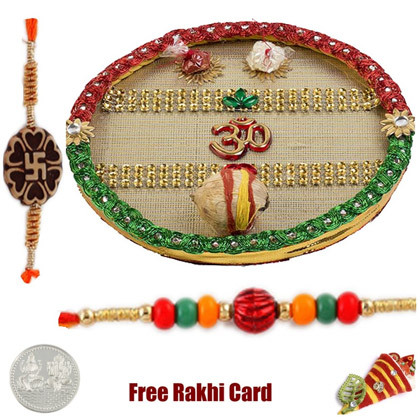 Send the auspicious Om Rakhi Thali decorated with lace and gotawork, coconut, 2 Rakhis, containers for kumkum and tikka. 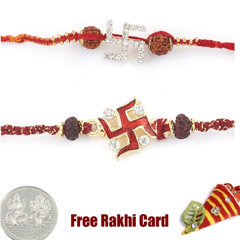 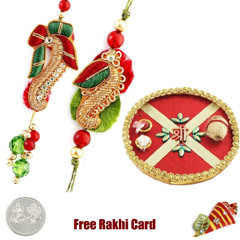 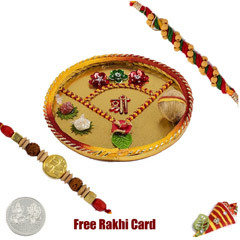 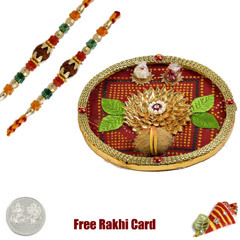 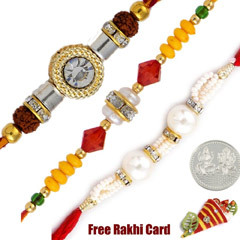 Thali Size is 6 inches.FREE Silver Plated Coin, Roli Tikka & Rakhi Card with this product Delivery only in UK Shipment will be sent via UK Mail with tracking number and delivery confirmation. 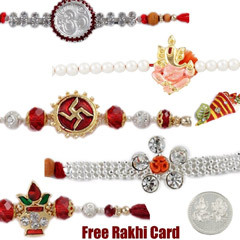 Please place your final order by August 2, 9 AM Central Time for assured delivery on August 7th, 2017.